At Priory Press Packaging we’re more than just a printer. We have an in-house dedicated design studio full of creatively inclined individuals – but we don’t like to brag about it. Too much. Some of our customers come to us already armed with artwork, but every now and again a customer will give us complete creative leverage on a package and its design. In this case it was Harry’s Dog Bakery. 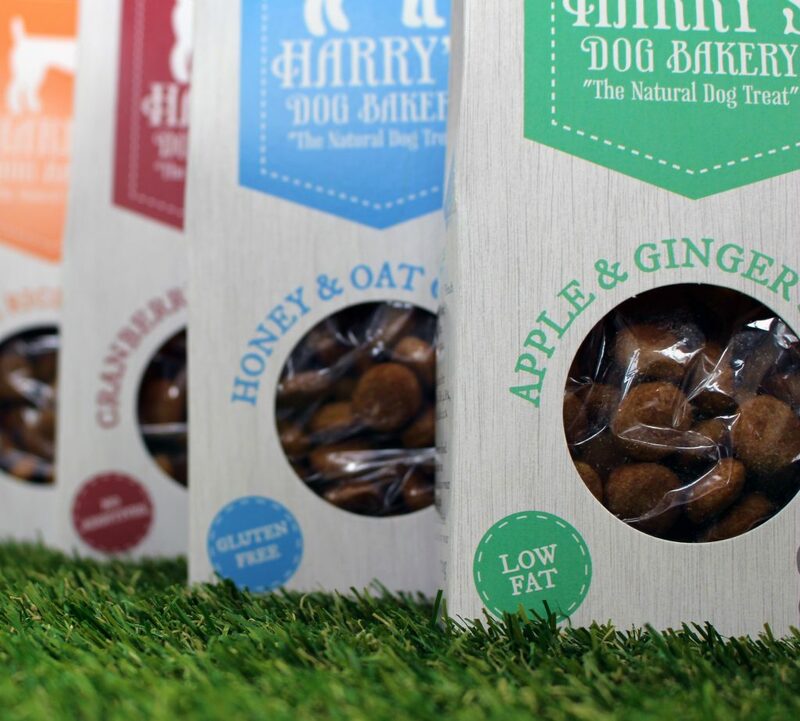 The 5-flavour range incudes: Peanut Butter Bones, Carrot and Rice Crunchies, Cranberry and Apple Bites, Honey & Oat Crunch and Apple & Ginger Snaps. Assigned to the design was our lovely Lora, who with a precious pup of her own, couldn’t wait to get started on the project for Martina. Martina already had a great logo (a clear as day dog silhouette) and a fitting typeface. For Lora, the vision for the design came first time lucky – each type of home-baked biscuit had its own colour, but was still consistent with the range. The white-washed wood printed on the packaging makes the colour of each flavour pop on the tent-top packaging, whilst maintaining the homemade / handmade feel. 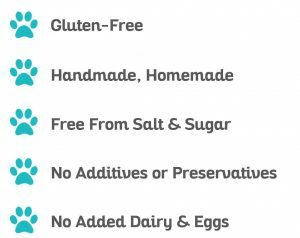 The addition of white stitching around the ‘Gluten Free, Dairy Free’ badges reinforces the straight-from-the-kitchen feel. 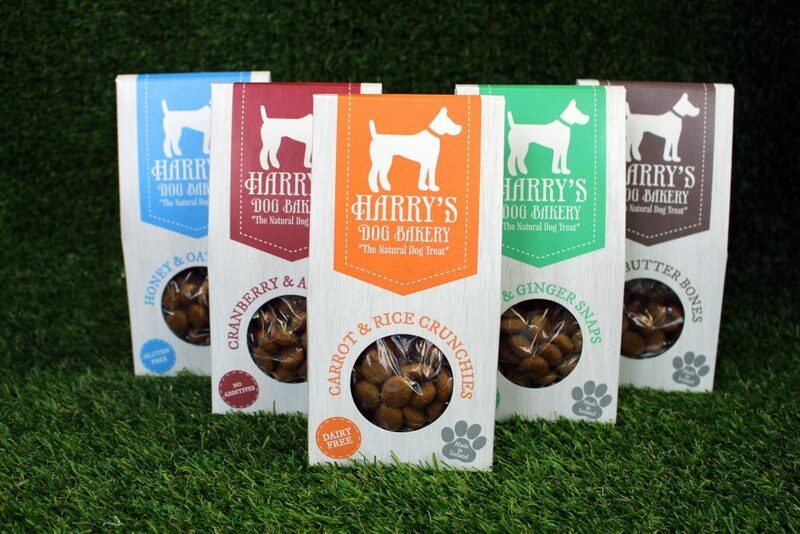 Mirroring this is the ‘Made in Ireland’ paw print – inviting the customer to support and love local – even if it’s for their pet. Each box has a circle die-cut, that shows off the product. An easy-open slot in / slot out tab makes the treats easily accessible for owner, and for dogs that just can’t get their paws on the treats quick enough. The design was a success, with only one request from Martina – to make the colours of each pack just a little bit deeper. 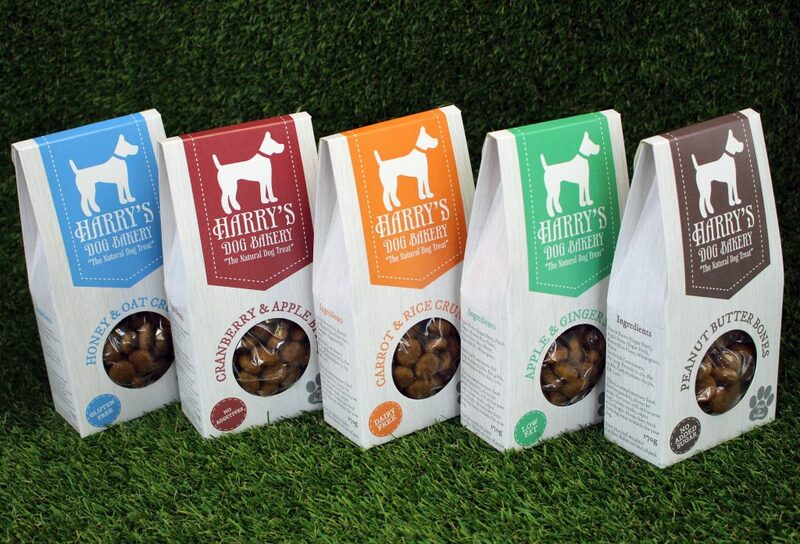 Not too long after we sent the packaging to Martina, it appeared on Ireland AM with endorsement from Pete the Vet. Well why not? Don’t they look just paw-fect? (Sorry, we had to). Lora loved working with Martina, and it looks like the feeling was mutual. Here’s what Martina had to say about working with us. We’re more than just a printer. 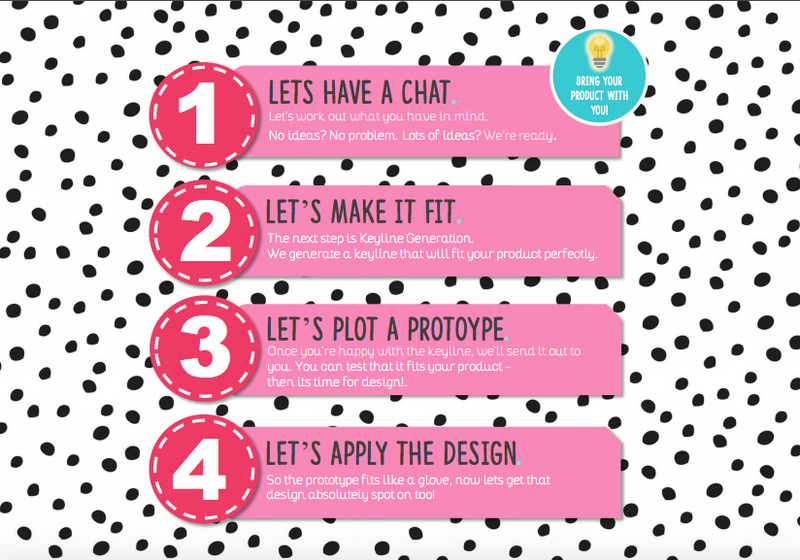 We offer design and printing of your packaging, check out our design process below.